Astronomers often focus on dark lines in the spectra of the light streaming down on Earth from outer space. These “absorption lines” are fingerprints left behind by molecules, each of which absorbs a unique pattern of colors. Absorption lines can yield insights into the composition of whatever the light passed through on its way to Earth, be it the outer layers of a star, a cloud of interstellar gas or the dusty birthplace of a planet. Nearly 100 years ago, astronomers began spotting unknown absorption bands associated with the interstellar gas and dust of the Milky Way and other galaxies. More than 400 of these “diffuse interstellar bands” have been found to date, and their cause is “often cited as the biggest enigma of observational astronomy,” study co-author John Maier, a spectroscopist and chemical physicist at the University of Basel in Switzerland, told Space.com. 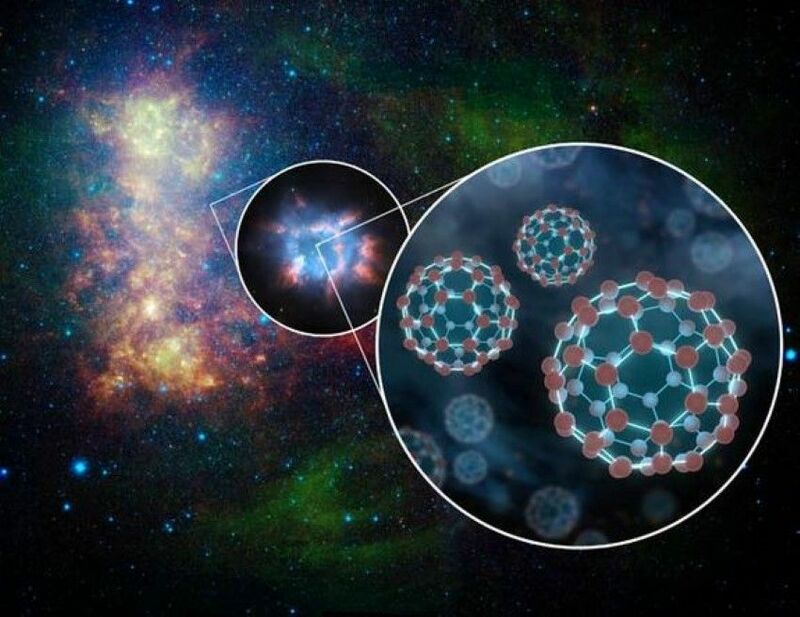 In 1994, researchers suggested that some of these absorption bands might arise from buckyballs, which are cage like spheres also known as C60, since each molecule is made up of 60 carbon atoms. Buckyballs, also known as fullerenes, are named after their resemblance to the architect Buckminster Fuller’s geodesic domes, a giant example of which is found at the entrance to Disney World’s Epcot theme park in Florida. Discovered in 1985, buckyballs are about 1 nanometer in size, or about one ten-thousandth the average diameter of a human hair. In the lab, the researchers created a positively charged version of C60 known as C60+, which can form when buckyballs are bombarded with radiation. They cooled a gas of C60+ to the kind of temperatures found in deep space — about minus 449 degrees Fahrenheit (minus 267 degrees Celsius). They next tested what C60+’s absorption bands were. Altogether, this project took 20 years, Maier said. “The whole mystery has not been solved, but perhaps this is the beginning,” Maier said.